2019 is almost upon us and we think your New Year’s resolution should definitely be to rethink your social media strategy. Why? Because there’s a whole lotta new trends that are about to dominate the coming year, and you’re in luck as we’re giving you the head start you need to be a pioneer on the top social platforms. Known as the rise of the social CEO, it’s time for company leaders and top executives to get more active on social. Whether they’re tweeting from a personal account, writing a knowledge-piece on LinkedIn, or providing the socialsphere with a cutting-edge podcast – business leaders are about to play a pivotal role in how brands are seen online. Helping to boost their brand's reputation, personality and transparency online, CEOs and MDs will be taking to social more than ever in 2019 to share their insights, opinions, and knowledge with their online community. Forget scripting or planning your social calendar months in advance, as 57% of global consumers are more likely to believe in and trust a spontaneous speaker. As a CEO or top exec, you should already be in the know about what’s trending in your industry and know of any breaking news as it happens – 2019 is about acting on it. You can give your keyboard a well-deserved break in 2019 because the image-recognition market is set to grow to by $25 billion. Visual search has already made its way onto the radar of big brands like ASOS, Ted Baker, and eBay and it’s only going to get more popular in 2019. Fashionista gurus Forever 21 have already seen a 20% increase in average purchase value thanks to visual search, so it’s only fitting that this image-dominant trend is going to continue to catapult in the New Year. Pinterest and Google Lens have visual search nailed down, with 21% of Pinterest users already reducing their use of traditional search. So, get your social images up to scratch so your followers will have no choice but to visual search you. “Alexa, how popular is voice search?” – very popular! Voice search is already making internet searches a whole lot faster. Smart speakers like Amazon Alexa, Apple HomePod, and Google Home have already made huge (sound)waves in the development of voice search, and you can expect continuous growth in 2019. 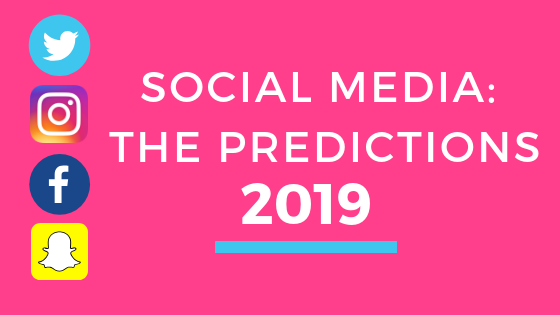 How can this affect your digital and social strategies in 2019? 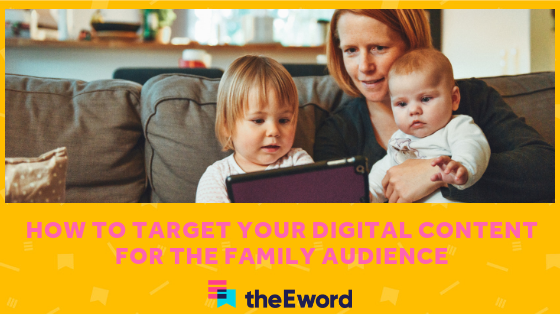 Ads on these platforms are set to soar in the upcoming year, so instead of thinking about Adwords and hashtags, start thinking about what your customers are asking their smart speakers – and optimise your ads and onsite content for their queries. Messaging apps like Messenger and WhatsApp are being used more and more frequently as a means to connect with friends. The novelty of chatbots is petering out, but the use and need for them is going to be at its highest in 2019. Chatbots will play an important role in shifting social media likes and retweets into social commerce, giving users the ease of quickly asking about products, making digital payments, and seeing automatic updates on delivery statuses. Only 19% out of 5,000 people surveyed had a negative perception of chatbots, and it’s expected that 2019 will see chatbots become the first place to go for ordering food online, booking hotel rooms, or even changing their electricity payment plan. It’s easy to customise your brand voice and send personalised content to your followers. And make sure you do – Millennials and Gen Z’ers have grown up with personalisation and will expect it from brands they like. This year we saw an outburst of live streaming, but it’s only going to get bigger and better next year. Studies from Livestream have shown that 80% of audiences would prefer to watch a live video from a brand rather than read a blog – so, what are you waiting for? Get live streaming into your 2019 strategy! Live video helps to take your platforms to a whole other level. We’ve already spoken about 2019 being the year of personalisation and overall quality of a customer’s journey on social media, and live video really enhances both of those. Live streaming gives you the chance to give your customers – and potential customers – an intimate, personalised, and behind-the-scenes look at what’s going on. Whether you choose to film in your offices, broadcast from an event, or put out how-to product videos, live streaming extends your reach, personalisation, and customer quality. The best and quickest way to learn about a product is to watch a video of it, right? Social ecommerce will be made more accessible than ever, as video techniques hit social media harder than when Neymar was falling to the ground at the World Cup. Known as the social video generation, social users are looking for fun and snappy videos from their favourite brands. The tool MikMak will play an important role for brands looking to convert viewers into buyers on social channels such as Snapchat and Instagram. MikMak improves post-click and swipe-up rates and makes it easier for your social followers to make purchases from videos. There are still a few gaps in the virtual reality (VR) and augmented reality (AR) markets, with brands and customers still getting accustomed to them. In 2019, expect to see these technologies help you personalise user experience, allow followers to experience products, and encourage users to share their own content – giving you more valuable UGC. Snapchat and Messenger are the perfect platforms to use for your virtual and augmented strategies. Estée Lauder have executed it perfectly by giving customers the chance to “try on” different shades of lipstick before they purchase – not to mention all of their interactive Snapchat lenses that are available. VR and AR will change the online shopping market greatly on social platforms, giving your customers the chance to visualise products in any setting – it’s going to make the ecommerce side to social a lot more appealing and interactive. The generation who grew up with social media and technology coming out of their ears: Gen Z. And 2019 will be all about targeting them as they enter the workplace and have higher disposable income than ever before. They’re extremely savvy so it’s important to get to know Gen Z and their habits to help structure your social strategy. Social media isn’t the place they keep up-to-date with family, it’s a time-filler for them and therefore they use social platforms for entertainment. So, is what you have planned entertaining? Work hard on your Snapchat, Instagram, and YouTube strategy to create visual entertainment. 85% of these social gurus learn about new products and brands on social platforms and mostly via visual content and influencers – 73% of Gen Z believe they have a close relationship with influencers. It’s key to target Gen Z early and tie them into your 2019 strategy as they will help to boost your social status. There’s a lot of FOMO among this generation and retailers are already beginning to tap into pop-up shops and intimate events to attract Gen Z. Your 2019 social media strategy for Gen Z needs to include influencers, personalisation, visuals, and event-led or user-generated content to build a sense of FOMO. A big trend you can expect to see in 2019 is gamification – pulling on the strings of marketing buzzword: interactive content. Earlier this year we saw gamification skyrocket thanks to Facebook’s live video gamification features such as polls and questions – and there’s no slowing that down in 2019. In the coming year it’s highly likely that other platforms will release similar features, so have gamification ideas rolled into your strategy. It’s a super-creative way to interact and engage with your audiences, whether it be a live quiz or a simple Q&A – interactive video content will get prioritised by feed algorithms putting you at the forefront of people’s social screens. If you want your 2019 strategy to enter the social market with a brand new feature, be highly engaging, and able to keep your audience’s attention then gamification is for you. The key to success on social is being reactive – reactive to news, to trends, and to your customers. If you’re after some creativity to get your social platforms on the right track in 2019 then Tweet on over to us @theeword or drop us a message.